The launch of The Sims 4 brings a change that is not necessary welcome by those who have played The Sims 3 a lot: the camera angle is changed and it makes it a bit difficult to get around and take care of your Sims and the game overall. Fortunately, the Sims 3 camera view is still available in The Sims 4, and if you want to get on familiar grounds and activate it, you’re at the right place as we have the guide for that! 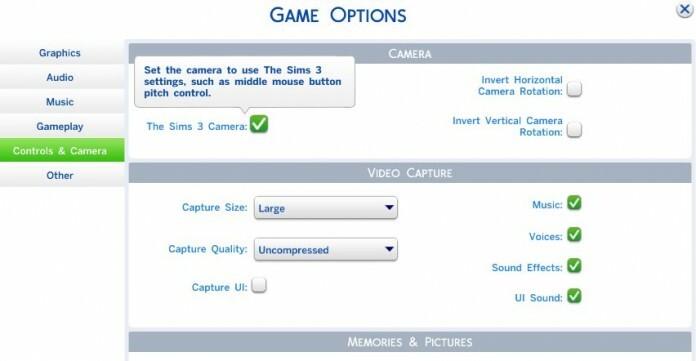 – Notice that there is an unchecked box that reads “The Sims 3 Camera”. Simply check that box, Apply the changes and you’re back on familiar camera views! And make sure you visit us often as we’ll bring you more Sims 4 content soon!